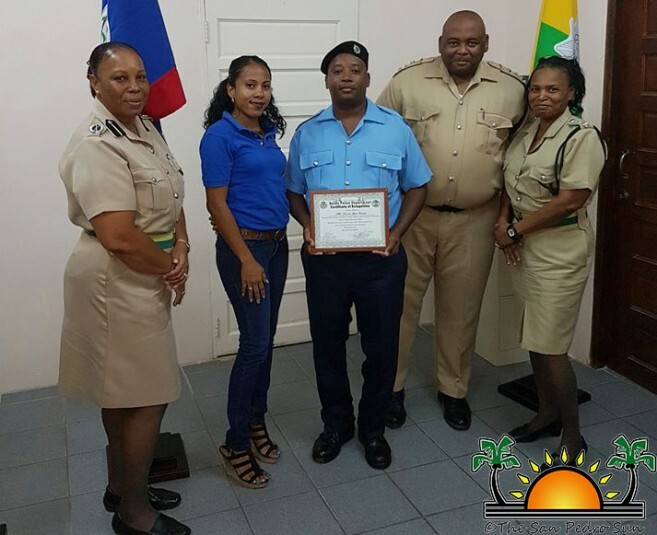 On Wednesday, May 31st, Special Constable Albert Alexander Lawrence of the San Pedro Police Department (SPPD) received the Belize Police Department’s ‘Officer of the Month’ award for May. Lawrence accepted the award with gratitude, and expressed that this recognition has encouraged him to strive for more excellence with the SPPD. Officer in Charge of the Coastal Executive Unit, Superintendent Henry Jemmott, also stated that Lawrence is consistent and maintains a high level of respect, discipline, and is dedicated to his job. The San Pedro Sun congratulates Albert Lawrence for this outstanding award!